Painting No. 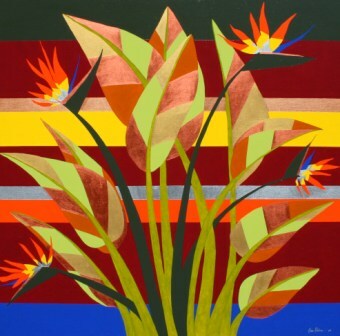 38 – Title “A Birde of Paradise” by Abstract Artist Karen Robinson – 2009 All images are protected by copyright laws! It’s a really beautiful painting. I like the fact that the colour from the flowers is reflected in the background.